Are you tired of your abusive and unfair boss? Here is a funny game to release some tension. 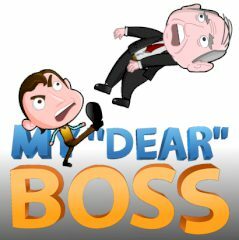 Kick your boss out the window as far and as hard as you can! Get points to buy upgrades in order to make him fly even further! Have fun!